Some of you may not have heard of Shopify before, but if you have a small business and are interested in selling items online (who isn’t these days? ), you really should become familiar with them. Their platform makes it easy for retailers to setup an online store quickly and they have convinced hundreds of thousands of businesses to use their services. 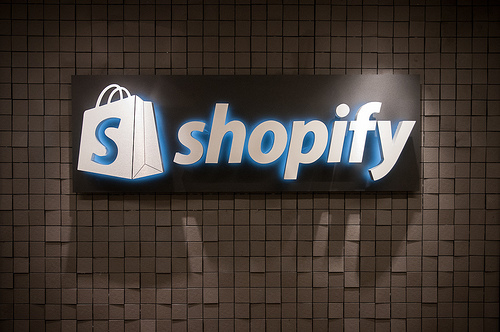 So just how big has Shopify become? Here are the more interesting Shopify statistics and facts I was able to dig up. As always, I will be adding more and updating these periodically as I find new stuff. Be sure to check back regularly. Please note that some of these numbers are easier to find than others. A few of these stats come from Shopify’s own reports, but some are based on news reports and not official company tallies. Basically, this is the best I can find and I don’t guarantee anything to be 100% accurate. 10 Interesting Stripe Statistics and Facts (2019) | By the Numbers Updated for October 2018. Here are the most interesting Stripe statistics I was able to dig up including number of customers and more! Interesting Auction.com Statistics and Facts (2019) | By the Numbers Updated for March 2017. Here are the most interesting Auction.com statistics I was able to dig up including number of users and more!